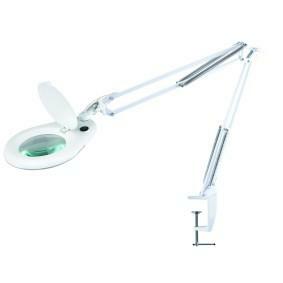 Our professional range of magnifying lamps includes industrial standard inspection magnifiers as well as office lighting and medical magnification. All lamps are tested rigorously to make sure that, day after day, they will offer the same high level of performance that you need in your job. The high output, full spectrum light increases contrast, provides perfect colour matching, which reduces eye strain, and allows you to work in comfort for longer.